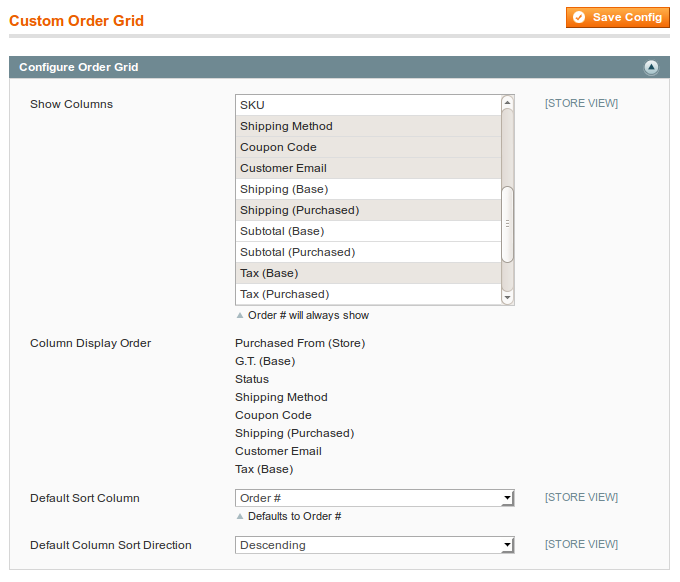 Hussey Coding is proud to announce the launch of its new Magento extension Custom Order Grid. 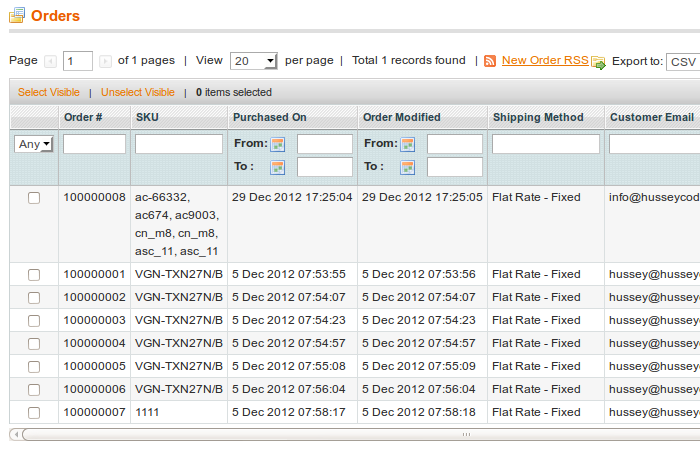 The extension is designed to greatly enhance a store owners ability to efficiently find orders by optionally adding many more columns to the sales order grid to sort and filter by. This extension allows you to fully customise and sort the order of columns displayed in the admin order grid, and give full sorting and filtering capability for all of these columns via a range of new settings in admin under System → Configuration → Hussey Coding → Custom Order Grid. 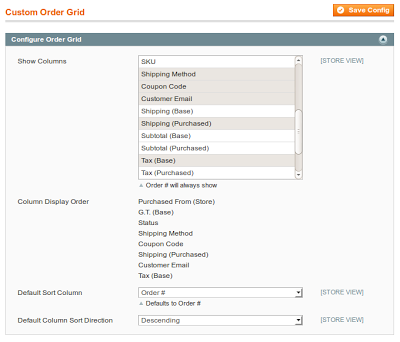 These include a multi select form element for choosing the columns you want to include in the grid, information about column ordering (set by column selection order), the default sort column, and default sort order. The extension is compatible with Magento 1.4 and above. 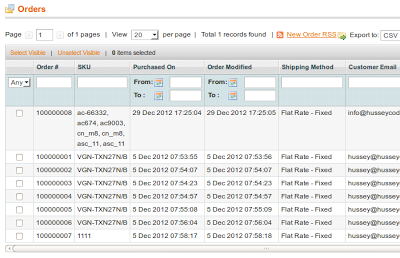 You can view a quick video demo of it here, view all Hussey Coding extensions including this one on Magento Connect, and you can purchase Custom Order Grid here.